Let me start by saying: I really like gear, but I don't often use it. I love having stuff, but when I run, I'm usually a minimalist. I generally race with only a handheld, unless the race is unsupported; in training, I won't usually carry anything if I'm running for less than three hours, unless the heat dictates that I carry water. But last year I started using the Ultimate Direction AK Race Vest on some of my longer runs and unsupported FA-style events. Honestly, it's a great product. You can carry a fair bit of gear and two 16-oz bottles without any significant bouncing, and it's incredibly lightweight. I had very few complaints; on longer efforts I did feel like I was adjusting the chest straps a little too frequently, and the sternal strap can be a bit limiting, but all in all, a huge improvement (from my perspective) over Camelbacks, waist belts, and the like. Last year a friend turned me on to Orange Mud, a small hydration company based out of California. I first found their handheld, which is one of the better examples on the market that I've found: quite light, very adjustable, with a much more comfortable strap that my previous handhelds, and enough room for a few gels or small packable items. It wasn't until the end of this year, however, that I discovered the HydraQuiver, the flagship product in the Orange Mud line, and fell in love. The HydraQuiver is a vest, but unlike the UD vests, the hydration has been moved from the front to the more traditional alignment on the back. At first, I was concerned with bouncing, as I was under the impression that the elimination of bounce in the UD line had come from shifting the weight to the front. But the HydraQuiver, instead of distributing the weight in the small of the back, as you'd expect with a Camelback, keeps the weight centered in the upper back, between the shoulder blades. The result is a completely bounce-free ride, with easy access by reaching behind you. If you can scratch the back of your neck, you can pull out the water bottle. When I first put on the Orange Mud HQ, it felt much too tight in the armpits. But as soon as I started running and my arms came up into their normal carriage, all the tension vanished. The pack rests comfortably with no bounce and no tension (and no sternal strap). I have yet to tug on a strap to adjust it during a run. As great an experience as the UD line provides, the Orange Mud HQ is better; I literally forget that I'm wearing it, and have started taking it on shorter runs of 60-90 minutes, just because it's so comfortable. The back is padded for comfort, and there is a pocket that will easily accommodate a phone, some nutrition, keys, and other small sundries. 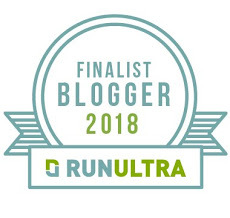 It's my go-to choice for running hydration right now, and I anticipate racing with it this year, even in supported ultras, which I never would have thought possible before. I'm proud to announce that I've joined the Orange Mud team as one of their ambassadors (or "am-badass-adors" as they like to say) and will be happily promoting their gear. There are several other products worth checking out in the Orange Mud line. The HydraQiver Double Barrel is the same idea, with two rear bottles; the VP2 has extra space for more gear, during longer efforts. There are several new products launching this year, including a gym bag which looks very well-planned. They also have some cool logo gear (including the super-hipster trucker hat, which almost never leaves my head now) and they also make a neat towel/car seat cover. It's definitely worth checking them out.